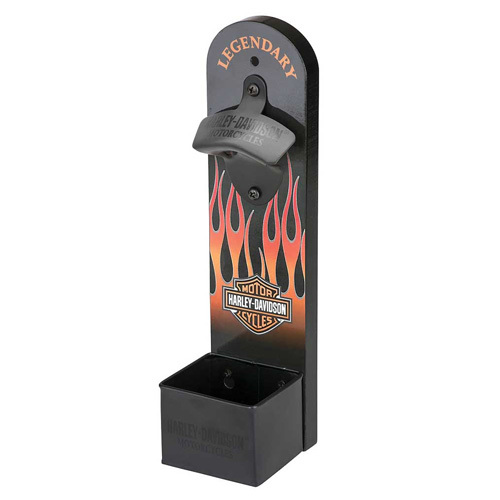 HD Flames Wall Mount Bottle Opener is a functional accent piece for your bar. Features vibrant HD flames graphic with metal bottle opener and removable cap catcher. Mounting hardware included.